Minilec offers a range of products for protection of water pumps used by farmers. 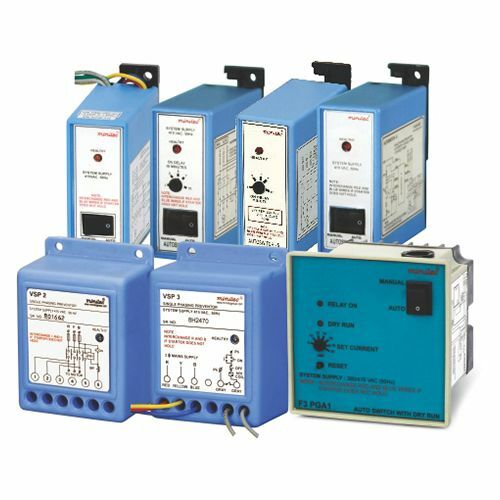 These are primarily to monitor incoming 3-phase supply for Single Phasing, Reverse Phasing and unbalanced supply and stop the pump in case of any fault. Additional features in some models include auto restarting. The products are specifically produced for marketing and use in India only.